Each family is unique. Personalities, style, size – and memories! Professional family portraits help you to remember the little things that make your family so special. Whether you have photos done of your immediate family, with your extended family, or just some of the kids together! I want to capture genuine moments - the sweet, the silly, and even the serious - and memories parents and siblings will all love to look back on for years to come! 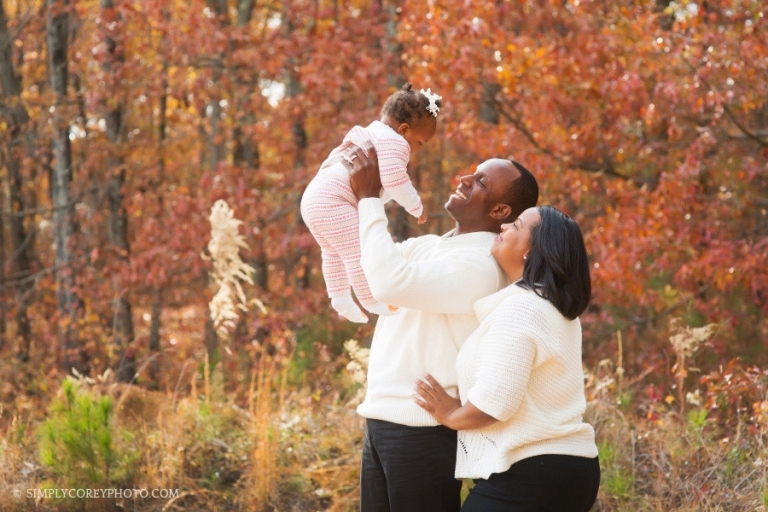 Family portrait sessions may be held at my private outdoor location or the location of your choice with Atlanta family photographer, Simply Corey Photography. You can expect photos of the whole family, siblings together, individual shots of each child, and even a few of parents by themselves during each portrait session. Examples of full family portrait sessions can be found on the blog. Simply Corey Photography is also available for Day in the Life lifestyle photography sessions and themed mini sessions are offered throughout the year. Sign up for the email newsletter or like and follow Simply Corey Photography on Facebook to receive announcements. Are you interested in having some of your fun family memories photographed? Send me an email to request my availability and detailed pricing!